Camden, NJ has hospitals, schools, and attractions. Camden waterfront contains four attractions, the USS New Jersey, the BB&T Pavilion, Campbell’s Field and the Adventure Aquarium. Camden is home of Rutgers University–Camden. DBS Building Solutions of Camden, NJ provides commercial cleaning services for businesses, offices & facilities in Camden, NJ. Commercial cleaning services, office cleaning services, floor maintenance, building maintenance and more, DBS takes care of it all. Servicing most facilities including buildings, offices, medical related facilities, child care centers, church buildings, car dealerships, fitness centers and many more. DBS Building Solutions sets itself apart from the competition by providing unparalleled customer service by dedicated representatives using screened professional commercial cleaning services personnel and quality controls with no long-term contracts. DBS Building Solutions provides your facility with excellent routine floor maintenance and can work with any variety of flooring from vinyl, ceramic, hardwood, to concrete, exceeding expectations in most cases. The building maintenance services DBS Building Solutions provides include window cleaning, duct maintenance, painting, snow removal, light construction and light bulb replacement. DBS Building Solutions also offers a number of other services and may complete special services, upon request. 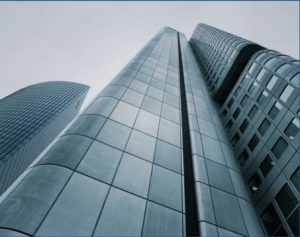 Call DBS Building Solutions today to discover how we may help your Camden, NJ office or facility! All of our services are provided on a routine basis and our teams at all our establishments are extensively trained, with professional, thorough experience. Call today or fill out the form at the top to get a free proposal on your current or future cleaning or maintenance project, for additional details on what special services we could offer you, or to schedule cleaning your business in Camden, NJ.